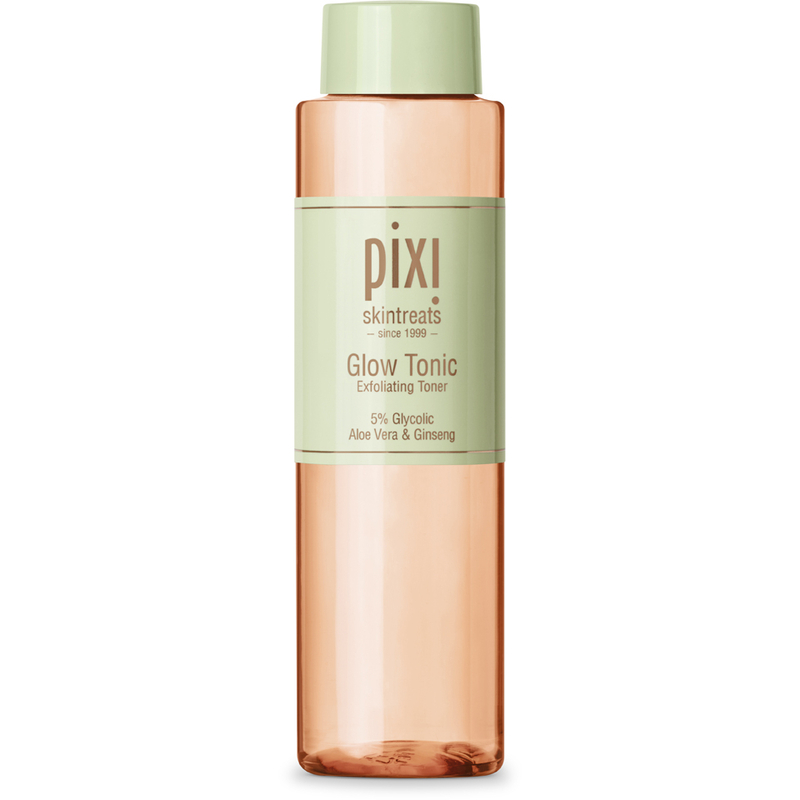 There’s nothing like waiting until you’ve actually finished a product before reviewing it, but here we are… I’ve made it to the end of my Pixi Glow Tonic and felt compelled to share my thoughts on it. Glow Tonic is one of those skincare products that really took the beauty world by storm as it promised to tone, firm and tighten skin with just a few quick swipes of a cotton pad, and of course I was very late to the party so I hope you don’t mind yet another review of this cult product. You might already know that I avoid bitty exfoliators as I find them too much of a faff to work with, so chemical exfoliants are what I’m drawn to as they’re no fuss and do a great job of sorting any problem areas, whether it’s large pores, dry patches or dull-looking skin. I’m happy to report back that Glow Tonic is no different. This toning solution which contains glycolic acid certainly does an amazing job of clearing the skin of any impurities left after cleansing, as well as smoothing out the texture to leave skin feeling super soft and looking much healthier. I’ll admit that I didn’t see much in terms of results initially, but after using the product religiously for a week or so (morning and night) I really started to notice the glow that everyone raved about. It’s safe to say that I’ll definitely be repurchasing the Pixi Glow Tonic in the future, but for now I’m about to start testing a cheaper alternative from The Ordinary so I’ll make sure to update you on those results! If you’re intrigued by the Glow Tonic hype and want to try it out for yourself I couldn’t recommend it enough. A 250ml bottle may seem pricey at £18, but I think it’s an investment worth making as the results really do speak for themselves. I’d love to know – are you a fan of Glow Tonic too?